Our goal is to connect people with the best local experts. We scored electricians on more than 25 variables across five categories, and analysed the results to give you a hand-picked list of the best electricians in Bridgeport, CT. Established in 1995, Gasso Electric is a general electrician located in Fairfield Connecticut featuring a fully licensed and insured crew with over 30 years industry experience. Some of the work they perform includes electrical design and interior lighting design, residential and commercial new wire installation, electrical panel repair, and circuit breaker maintenance. Master Electrician and business owner David Gasso offers flexible scheduling options, premium quality parts, products, and materials, and stays up-to-date with current building codes in the Fairfield area. Customers say Dave and his team provide accurate and honest estimates, and they highly recommend their services for a variety of lighting and wiring needs. Imbrogno Electric is a state-licensed and fully insured contractor in Fairfield that draws on the owner’s more than 20 years of experience. The company caters to industrial, commercial, and residential clients, including construction firms, facility supervisors, property managers, and homeowners, and some of the tasks are wiring newly built structures, rewiring existing ones, installing automatic and portable generators, setting up private theaters with sound systems, replacing fuses and breakers, upgrading circuits, and troubleshooting. Imbrogno Electric takes pride in its efficient, reliable, respectful, and highly qualified technicians, who have passed background checks and employment verifications, and it gives a 12-month warranty on all its services. The shop accepts checks and credit cards, and its website features an introductory video and other valuable resources. Jordan Electric is a commercial and residential electrical contractor based in Bridgeport, CT that serves the Fairfield and New Haven Counties. The company is locally owned and operated by Michael Jordan, who has over thirty years of professional experience. All technicians are fully licensed, insured, and OSHA-certified to provide a range of electrical and construction services for residential and commercial clients. Jordan Electric provides services including wiring, lighting installation, generator installation, HVAC installation, security system installation, and solar energy installation. Jordan Electric can also carry out new construction and renovations for houses, apartments, and commercial buildings. Clients have spoken highly of Jordan Electric for its professionalism, quality of work, and efficiency. Konstantino Electric provides professional electrical services for residential and commercial customers in Fairfield and the surrounding areas. All technicians are highly qualified and professionally trained and maintain fully stocked trucks with all parts and equipment needed to handle any electrical project. They offer a broad range of electrical services including upgrades and new service, troubleshooting and repairs, security lighting installation, complete home rewiring, pool and hot tub wiring, telephone and cable wiring, electrical remodeling, and much more. Their commercial services include outdoor security lighting, generators, dedicated equipment lines, tenant fit-outs, data and voice cabling, electrical certifications, parking lot lighting maintenance and repair, and more. Mazzucco Electric provides residential and commercial electric services throughout Fairfield County and surrounding areas of Connecticut. They specialize in cost-saving strategies including electrical repairs, surge protection, renovations, security lighting, panel upgrades, lighting retrofits, fan installation, and audiovisual service. This business employs responsible, professional technicians who strive to ensure that customers are completely satisfied. Clients can request a quote using a convenient online form. This business was founded in 2001 and is fully licensed and insured. Mazzucco Electric has a five-star overall customer rating on Google. They are accredited by and hold an A+ rating with the Better Business Bureau. 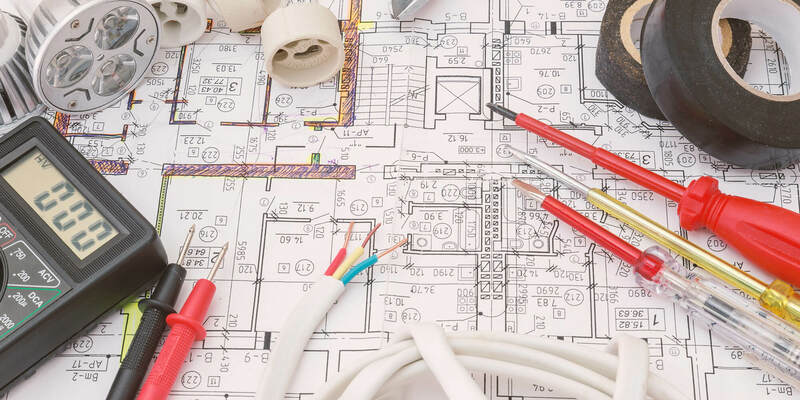 New England Electrical Contracting is a locally-owned-and-operated electrical company located in Trumbull, Connecticut that has been delivering comprehensive services with professionalism, reliability, and punctuality since 2006. Whether homeowners need an upgrade for their entertainment options or business owners require improved wiring for their establishments, their team has the tools, expertise, and experience to complete all kinds of jobs professionally and within the agreed budget and timeline. Their services include electrical service upgrades, surge protection, code violation corrections, ceiling fan installation, home theater and audio setup, and spa, pool, and sauna wiring. New England Electrical Contracting is an authorized dealer of Generac brand generators and is fully licensed and registered with the State of Connecticut Department of Consumer Protection. Ray Brown Electric is a Fairfield business that has been serving customers for more than 70 years. Areas the business serves include Derby, Green Farms, Branford, Orange, Stamford, East Haven, Ansonia, Easton, Norwalk, Milford, Southport, Wilton, Trumbull, Greenwich, Wallingford, Ridgefield, Weston, Hamden, Darien, Monroe, Stratford, Redding, New Canaan, and other areas. Services include power circuit installation, furnace installation and replacement, outdoor lighting installation, fixtures, switches, outlets, and troubleshooting. The technicians are trained, background checked, and drug tested. Ray Brown Electric is accredited by the Better Business Bureau and has an A+ rating. The business is HomeAdvisor Screened & Approved, is a HomeAdvisor Elite Service Professional, and is a 2014, 2015, 2016, and 2017 HomeAdvisor Best Of winner. Customers appreciate their professionalism, friendliness, knowledge, punctuality, efficiency, honesty, and customer service. Right Way Electric is a professional electrical contractor located in Fairfield, Connecticut that serves clients in the wider local metropolitan area. The company is fully licensed and is backed by more than twenty-five years of experience in the industry. Offering flexible scheduling and prompt service, the company specializes in residential projects and offers clients such services as plug, light, and fixture changing as well as bathroom and kitchen renovations, basement finishing, addition electrical work, new construction work, troubleshooting, and more. Right Way Electric is praised by former clients for its positive environment, the quality of its work, and its prompt service. Established 1986, Service Rite Electric is an electrician in Milford, Connecticut offering a variety of services to residential, industrial, and commercial customers. The family-owned and operated business consists of a father and son with a combined experience of over 60 years in the industry. They are fully licensed in the state of Connecticut, OSHA certified and insured. Service Rite Electric offers 24/7 emergency services with fully stocked vans able to complete most jobs on the go. Residential installation and repairs include fuses, ceiling fans, circuit additions, air conditioning units, smoke detectors, generator hookups, and more. They also provide phone and internet services, office equipment hookups, transformer maintenance, and power poles for commercial customers. Yankee Electric Construction is one of the most revered providers of power solutions in Fairfield and the rest of Greater Bridgeport. The firm has been delivering exceptional services since 1975, and it carries the founders’ tradition of integrity, professionalism, and responsiveness to this day. The establishment keeps a 7,000-square-foot facility, which houses its offices, warehouse, and fleet, and it maintains a productive and healthy workplace for its employees. The company handles institutional, industrial, commercial, and residential projects, and its client types include building designers, contractors, brokers, supervisors, and owners. The team consists of background-checked technicians, who have decades of combined field experience and training, and some of the focus areas are roadway lighting, generator installation, whole-house surge protection, and tenant fit-ups. Yankee Electric Construction also performs maintenance work.